It turns out that Hale Groves was reading. A short week later, they were in touch with me. Just that they read my post totally made my day. Being offered a chance to work for white grapefruit (no less by doing the things I love best, which is talking in loving science gibberish on social media) was icing on the cake! 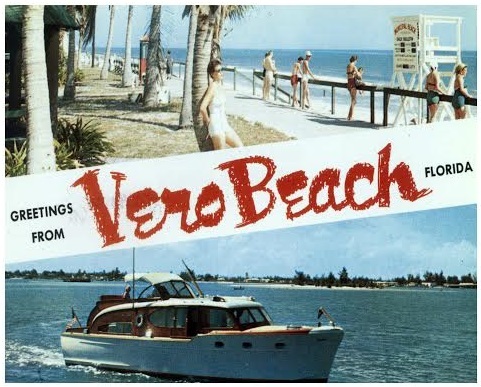 Since I was already planning on heading to Florida, Vero Beach wasn’t too much out of my way (what’s an extra hour when you’ve driven 2 days, and there’s grapefruit and fresh-squeezed orange juice at the end of the line?). I offered to meet up with Jason, and knowing my predilection for science and trivia, he invited Scott, their procurement manager. It’s been the better part of two decades since I’ve spent any time in this region, and so it was enjoyable to talk with Scott, who was a wealth of information on all things citrus (in fact, I was going to plug this post full of history and trivia, but in the end I decided to save the background and sciencey “why is Indian River Fruit the best” for a whole different post–it was over a thousand words on its own). I could have monopolized Scott all day long, trading stories and listening to the science of fruit. But he painted a troubled picture of Florida’s citrus industry under fire. Growers are being challenged with a push to convert their lands to residential development. The Orchid Island fruit of my youth (which was grown in an especially hospitable microclimate pocket and considered ultra premium even among the Indian River fruit only 20 years ago) is virtually gone. Some bad freezes over have only hastened developers’ incursions onto prime grove lands. Local retail interest has also been in decline. Part of the problem is that the generation which preferred to shop direct from farmers is aging, being replaced by a one-stop-shop generation that relies on the grocery store. Part is how technology has made the world so small–we don’t always notice the fine print at the grocery store that the produce we’re buying is coming from countries thousands of miles away (like Mexico, Spain, and China) instead of closer to home. 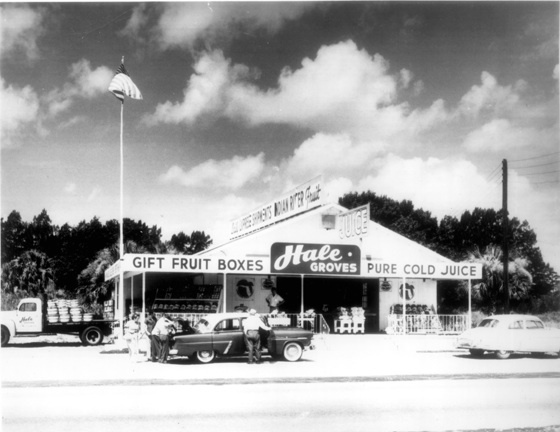 Hale reduced their retail outlets down to their original packing plant on U.S. 1. One of the other local families I knew in citrus around Vero, Kennedy Groves, is reportedly planning on shutting their doors within the year. Somewhere in the push for “the best bang for our buck,” we’ve started to forget how to include quality of manufacture and personal satisfaction when we’re assessing the value of goods. 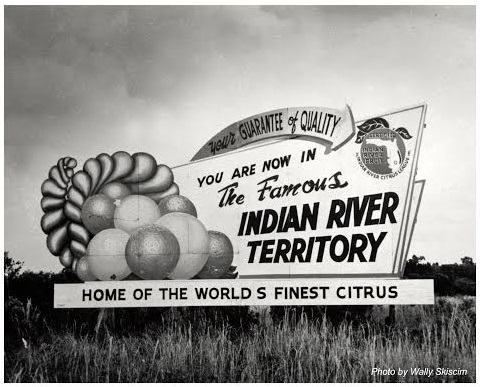 The name “Indian River Fruit” doesn’t spark the same instant recognition of premium quality that it used to, and people are less tied to supporting local industry than they are to convenience. 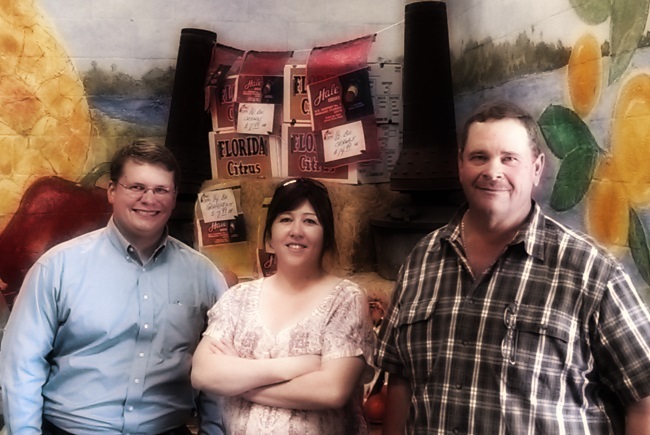 I am pleased to be considered by Jason and Hale Groves as one of a network to help try to rebuild interest in the Indian River fruit industry in general, and Hale Groves as a brand in particular. And that starts with getting to know that this company is full of people. People who may be your near neighbours who have worked in the industry for decades. Hale has been around since 1947, and unlike the distant producers, warehouses and distributors involved in shopping at a brand grocer, the people there still run the business with a personal touch. It’s not too late to try the Marsh! This year’s grapefruit season ends very soon, but it’s not too late to order in some of the sweet white that sparked this whole discussion with Hale! I discovered while I was down there that the sweet Marsh white makes up the bulk of the Indian River grapefruit production. Why only the Ruby and Deep Red variety make it up here, I have no idea. Anyway, you can be sure that you will hear more about Hale come fall! If you’re a fan of grapefruit (or heck, even if you’re not) and you’ve never tried the Indian River Marsh white, you must. It’s a perfect blend of sweet and sour, and a properly ripened fruit has little or no bitterness. A slight green tinge and light black speckling on the outer rind of the fruit is perfectly normal and is no indication whatsoever of ripeness or spoilage. The taste itself… I can’t begin to describe. It’s like being a purveyor of fine wine (something I’m not): it has to be described in bouquets and hints. The taste is immediately rich and complex, like burst of golden sunshine, a faint breeze of vanilla and a memory of the ocean. If you can only treat yourself once in a lifetime, you should. 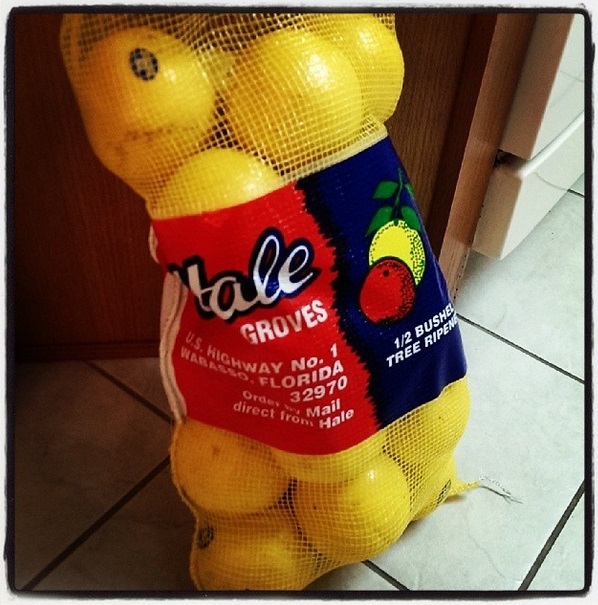 Hale took me at my word saying I was willing to work for white grapefruit, and they compensated me for this post with a great story, lots of fodder for more stories, and my son’s weight in Marsh white grapefruit. Which I am pigging out on. I admit, I’ve never been a grapefruit eater – but I’ve always found them to be a bit bitter – so apparently I’ve been eating unripe grapefruits? I have to say – I’ve never seen white grapefruits before! 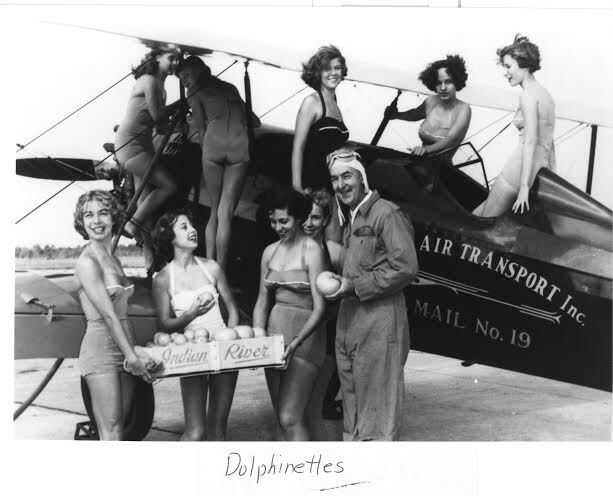 Loving the old pics and the history in this post – that’s the kind of company I can get into. There’s a lot of variables that can affect the sweetness of grapefruit, including where it’s grown, its “ripeness,” and the soil itself… this is part of all the data I’ve been sifting through thanks to Scott and other sources! It’s all very cool and complex. Oh, Lordy. I can’t even tell you how I’ve dreamed of a day like this. I love everything grapefruit. I haven’t found white in Holland, and I miss it hard. In a world where the majority of food stories are terrifying/revolting/saddening, it’s so refreshing to hear ones of food advocacy, of putting meaning, nutrition, and love back into food. What a beautifully crafted story of hi-fi getting its hands all dirty on a grapefruit farm. Pure equilibrium. Haha. I spent many a grapefruit taste-testing to figure out exactly how to describe the flavour. 😉 Maybe we can ask Jason if they ever ship to Holland! Hi James, unfortunately I don’t have any contact info for the packing house. Best of luck!